Where do Millennials stand on communism/socialism? While the vast majority of elder voters Baby-boomers (Americans born from 1946 to 1968) believe that Communism is a serious problem, only 55% of Millennials share the same views. A shocking 45% of 16 to 20 year-olds have admitted that they would vote for a socialist for president. 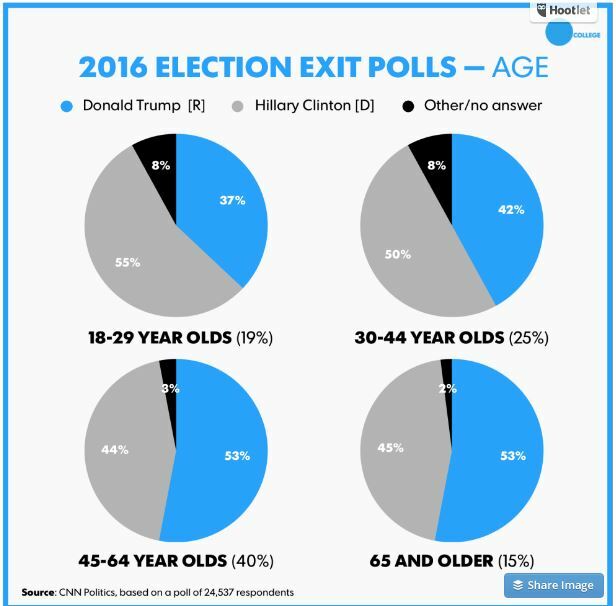 21% of the same age bracket would vote for a communist! 40% never heard of Che Guevara, who was responsible for the murder of thousands in his quest to push the Communist ideology. But young people think that it’s cool to wear t-shirts with his picture on it. Actually, he was one of the cruelest ideologues who ever lived, much like ISIS today. 18% never heard of Soviet Communist Leader Joseph Stalin—the ruthless dictator who massacred 56-62 million of his own people. This unsettling ignorance about communism reflects the terrible lack of historical teaching which students receive in k-12 education or college. We need to blow open the public school system, dismantle the teachers unions, and bring real teaching to the elementary and high schools. To end this communistic indoctrination, we need to give parents school choice. Universities have also become the epicenter of this communistic invasion. Dramatic structural change is needed. The professors and administrators are bringing up a generation who do not know about freedom, the failed history of socialism, and teach intolerance to other points of view. Mr. Craig Huey, you are absolutely right! In my opinion, the school system needs a major overhaul. Wouldn’t it be nice to be able to make changes without abrupt challenges, but my concern leans toward fear of the status quo rebelling in any way neccessary to get the results they see fit. In other words, the end justifies the means. I do believe the current school system and the majority of unions involved are the engine that needs an oil change. Perhaps it’s the best place to start draining the swamp? Yes, I firmly believe the schools and even churches are embracing liberalism. I see the same trend. He emphasis’s that our supposed “one nation under God” learning institutions, (colleges and high schools) have ever so slowly embraced pagan ideologies and theologies without discernment and thus began the downward spiral to were we are today. I think it is a good source of seeing were these protestors are really coming from as a result of the Trump win. 1. Tear down the male figure as head of the household. The one of authority. 2. Get the female out of the home as homemaker and into the workforce. 3. Make taxes a law and slowly raise them, un-noticed. 4. Create television programs (Tv was a new item then) that baby sit the now “Latch-key” children coming home from school since both authoritarians are not home. 5. Slowly introduce immoral behavior in our entertainment viewing. Movies and Tv. 6. Introduce slightly the female strength of independence. 7. Introduce Darwinian ideology and get rid of Christian belief in God and Jesus. 8. Slow boil the acceptance of homosexual values into our thinking to make it be seen as normal. Well, the question needs to be asked by the younger Playstation, Xboxer’s. What does our country stand for? Well first and foremost, the country is suppose to be governed by the people. These kids these days don’t have a clue that they have the power to create a law or go into business for themselves and make whatever amount they desire they want. This is freedom on a grand scale with God’s blessing. But just a select few have dictated to our country for years and now look at the results.